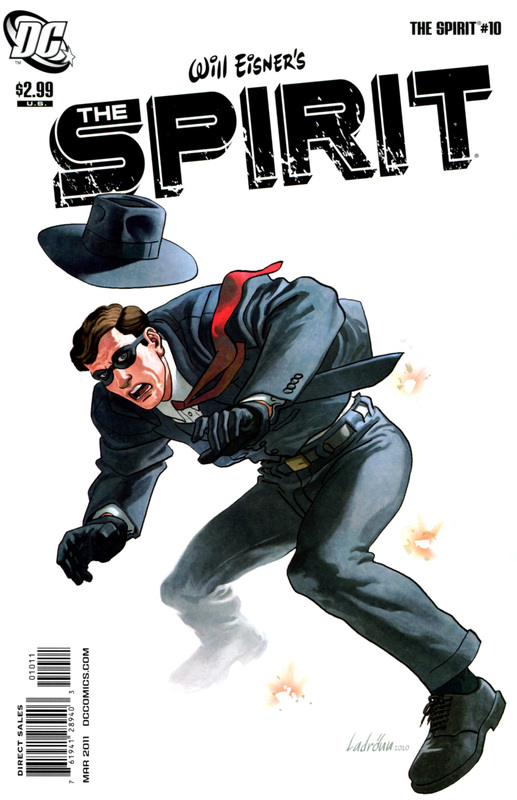 Dynamite Comics, well known for publishing pulp heroes, welcomes Eisner’s famed The Spirit to its roster of characters. The Spirit, a murdered cop named Denny Colt who was mysteriously brought back to life to fight crime, joins the publisher's stable of noir-influenced iconic heroes and bestselling titles for its 75th anniversary. The Spirit has most recently been published by DC Comics in a notable run from Darwyn Cooke. Nancy and Carl Gropper of the Eisner estate in a joint announcement have said: "At Dynamite, The Spirit will be joining many iconic heroes including Flash Gordon, The Shadow, The Green Hornet, The Lone Ranger, Zorro, and others. Will Eisner created The Spirit in 1940 as a syndicated seven-page newspaper supplement, where The Spirit fought the villains of Central City weekly until 1952. We're hoping to see Dynamite's new comics of The Spirit surpass the circulation of the Will Eisner's original series." Dynamite for its part seems excited, "Bringing The Spirit to Dynamite is a dream come true. Actually, that's not a strong enough sentiment. It's a lifelong dream come true," states Nick Barrucci, CEO and Publisher of Dynamite Entertainment. "This is a huge responsibility that we've undertaken as there have been some great creators involved in The Spirit throughout the seven decades of his career". Barrucci even went on to add, "I cannot emphasize enough how important publishing The Spirit is to us." There has been no stated creative team as of yet, but there is one thing for sure – this is going to have some great covers.